Waves Audio will be hosting a day dedicated to audio, live sound mixing, and hands-on training at Elevation Church in Charlotte, N.C., on July 25, including two free training sessions. A WavesLive Mixing Masterclass will begin at 10 a.m., and a SoundGrid 201 in-depth training certification session will start at 3:45 p.m. Participants are invited to register for either one or both of the events. Between the two events will be a tour of the facilities. Featuring live sound engineer Jeff Sandstrom (Chris Tomlin) and Waves SoundGrid specialists Jeremiah Clever and Michael Adams, plus the Elevation Church audio team, this session will include an overview of SoundGrid technology, the MultiRack plugin host and the eMotion LV1 live mixer, followed by an in-depth mixing seminar and Q&A session. SoundGrid Certification Courses offer three levels of training: from dipping your toes in an online introduction course, to hands-on setup training, to gaining advanced expert knowledge of the system. SoundGrid 201 goes deep into the SoundGrid system and covers networking, latency, and hands-on training in setting up a SoundGrid system, whether simple or complex. Please note: SoundGrid 101 online certification is a prerequisite for taking the SoundGrid 201 course. Get certified for SoundGrid 101 here. When: July 25, 2018 | 3:45-5:15 p.m. 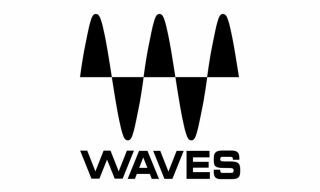 Waves Audio will also be hosting a free workshop at Jam Room Studio (201 South Prospect Street) in Columbia, S.C., on July 23 for producers, engineers, and songwriters. For more on the workshop, which will explore how Waves SoundGrid can help you streamline your studio workflow, click here.